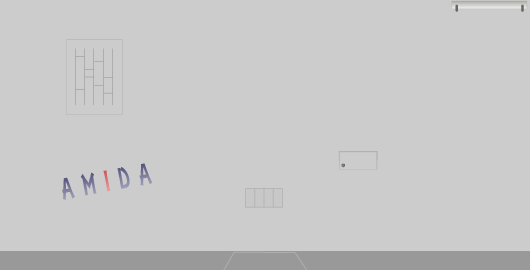 Amida Escape is a minimalistic room escape game from Flatsan. There is this only grey wall with “Amida” word on it. What does it mean? maybe you should start examining the wall thoroughly and maybe you can find something interesting. Posted on Saturday, March 31st, 2018. Follow any responses through the RSS 2.0 feed.